Day 3 of my Blogiversary Giveaways is something that all your sewers are gonna love! 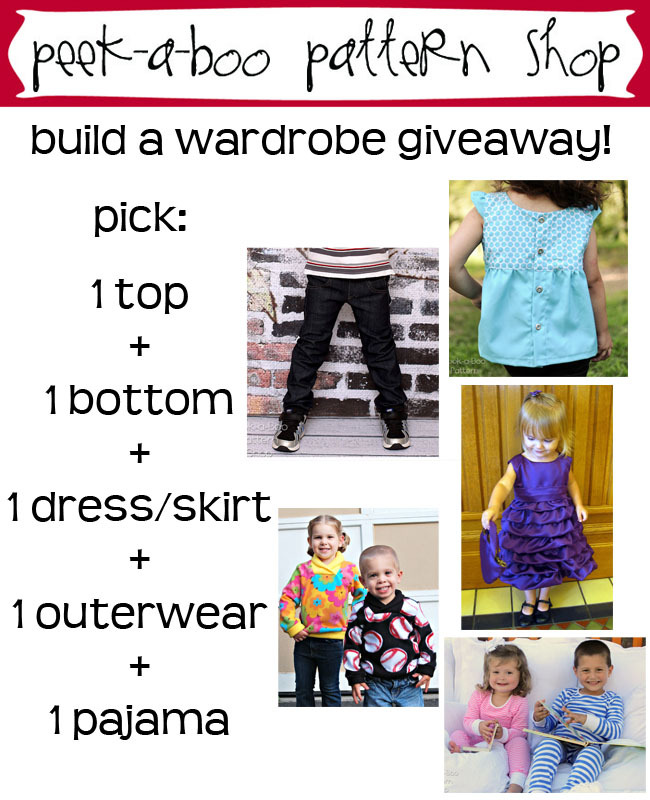 My friend Amy of Naptime Crafters has an amazing pattern shop where she has dozens and dozens of patterns for clothes and other fun stuff! It’s called Peek-a-Boo-Patterns. Her patterns are awesome and so cute!! So fun, right?? How proud would you be if you could make everything your child wears and it turns out so cute like those pictures? Everyone would be “SEW” impressed–Yuk, yuk. What a lovely giveaway. I just found your blog through Nap Time Crafter’s blog and going to spend some time and have a good look round.